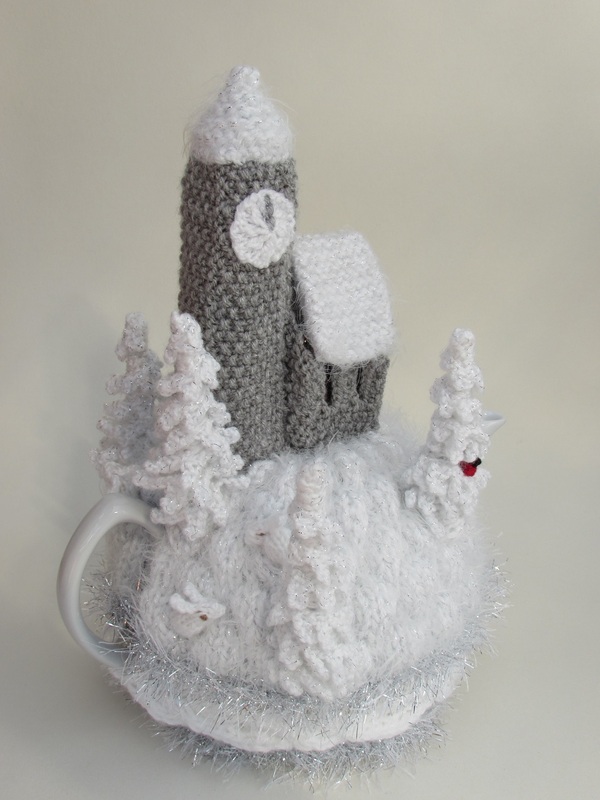 The winter wonderland tea cosy was inspired by an old Victorian Christmas card of a church in a wintery landscape glistening with snow. 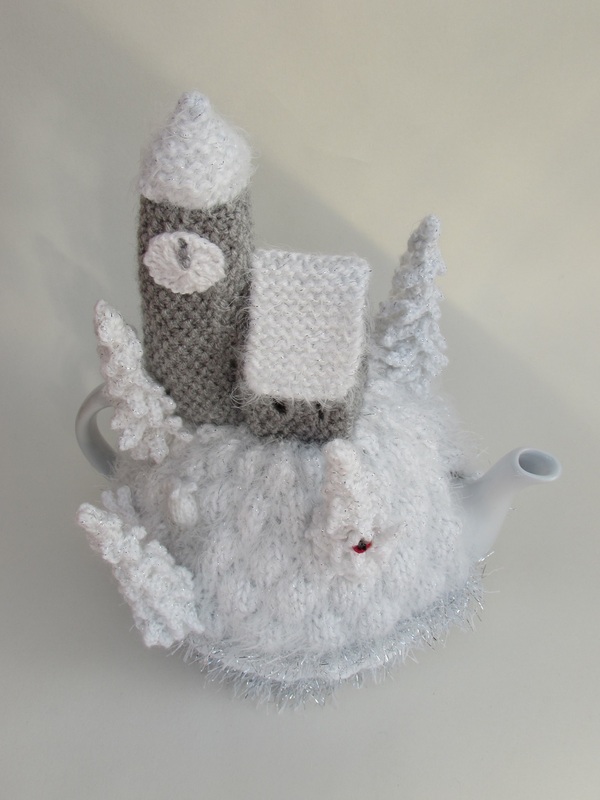 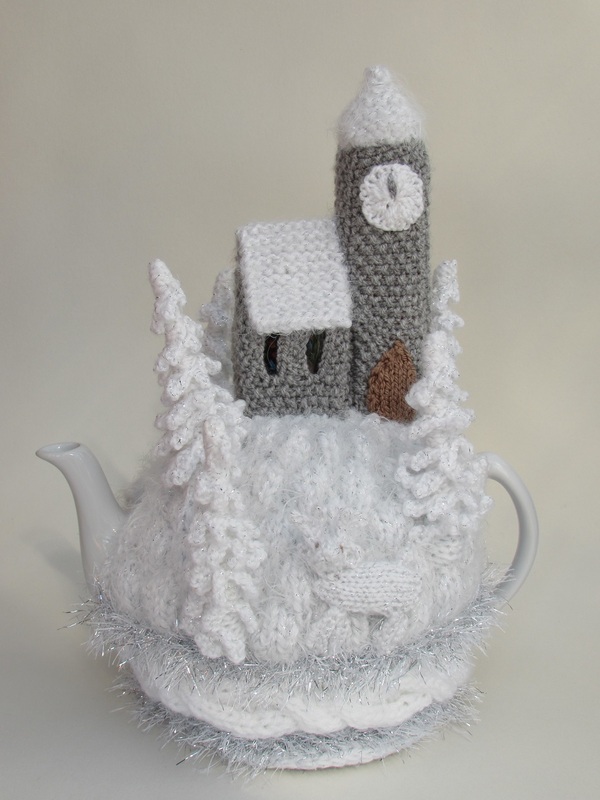 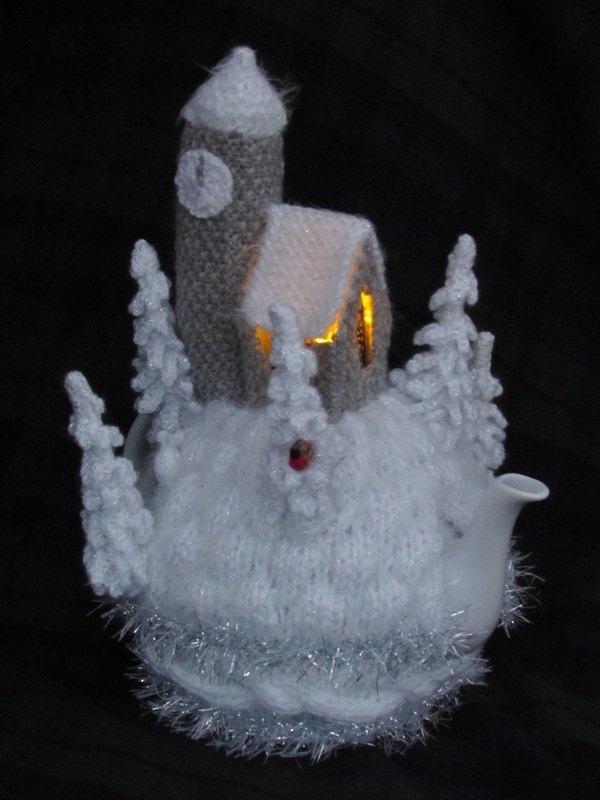 I loved the picture so much I designed a snowy tea cosy. 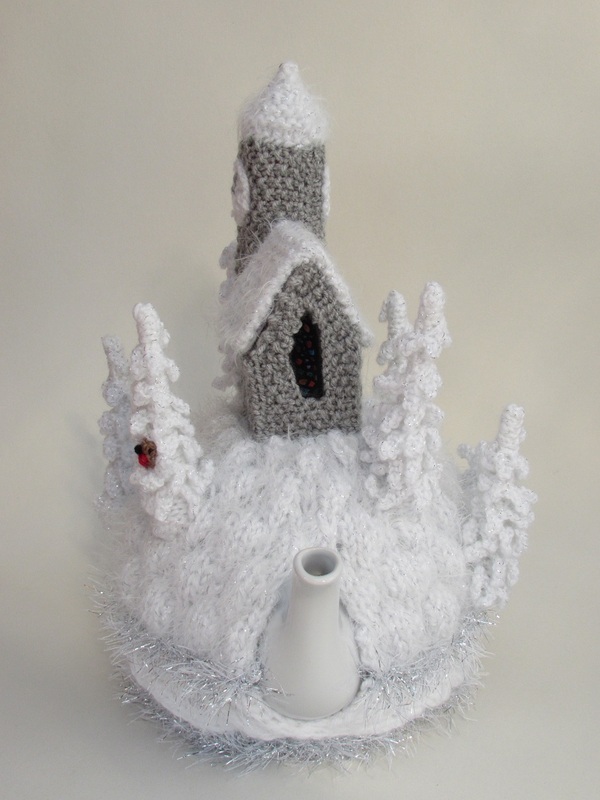 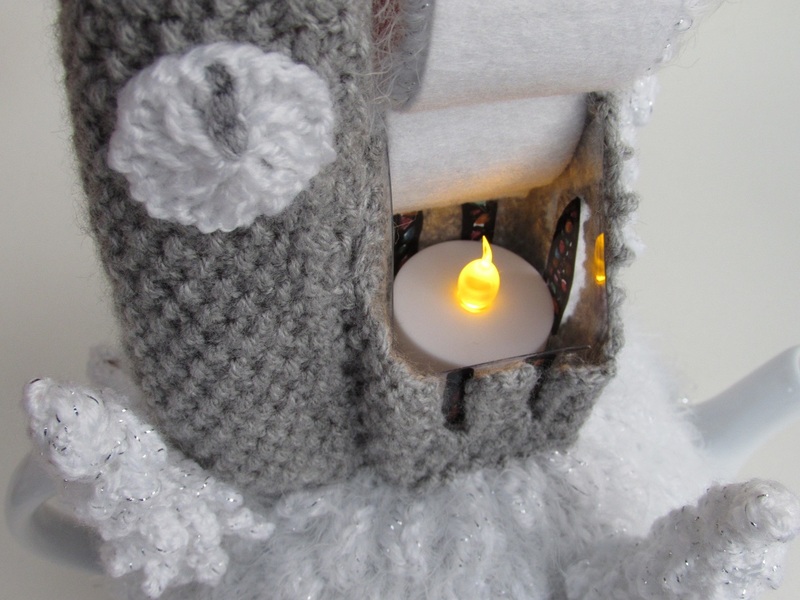 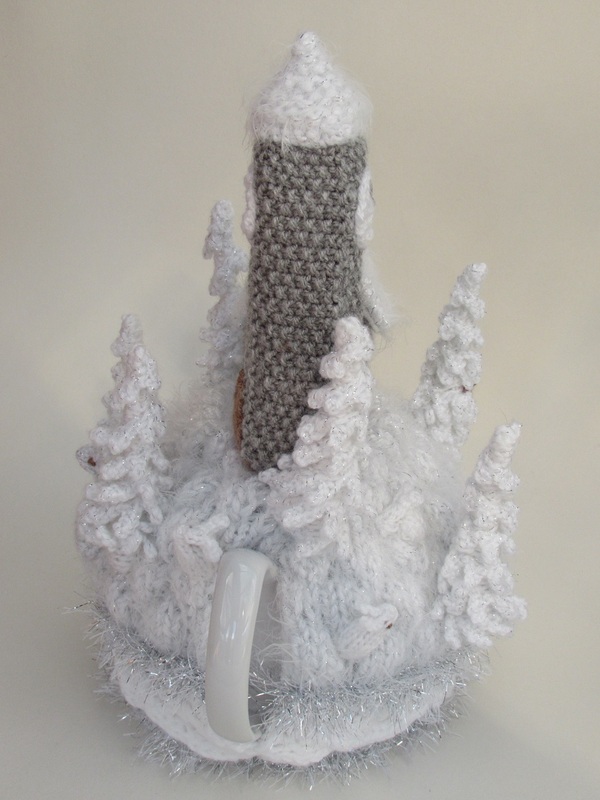 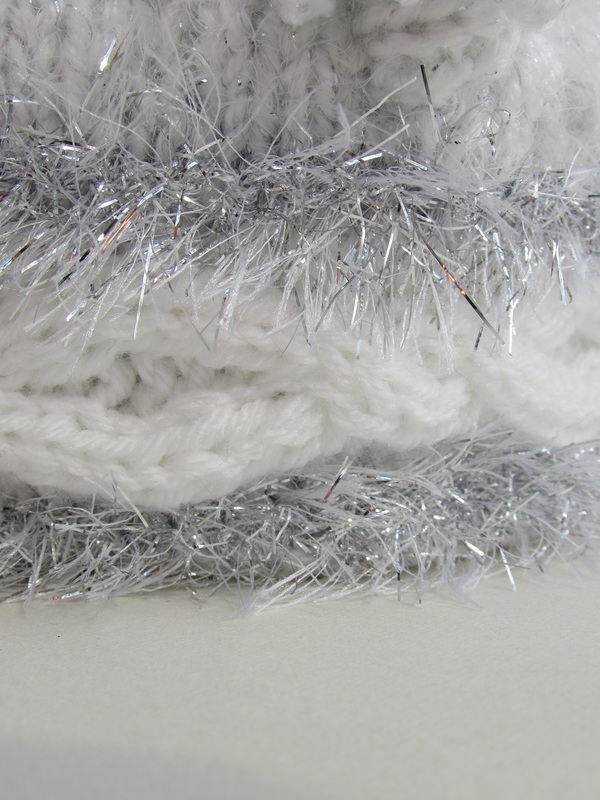 The tea cosy is an elaborate tea cosy featuring a cabled panel and a patterned main cosy that resembles snow drifts. 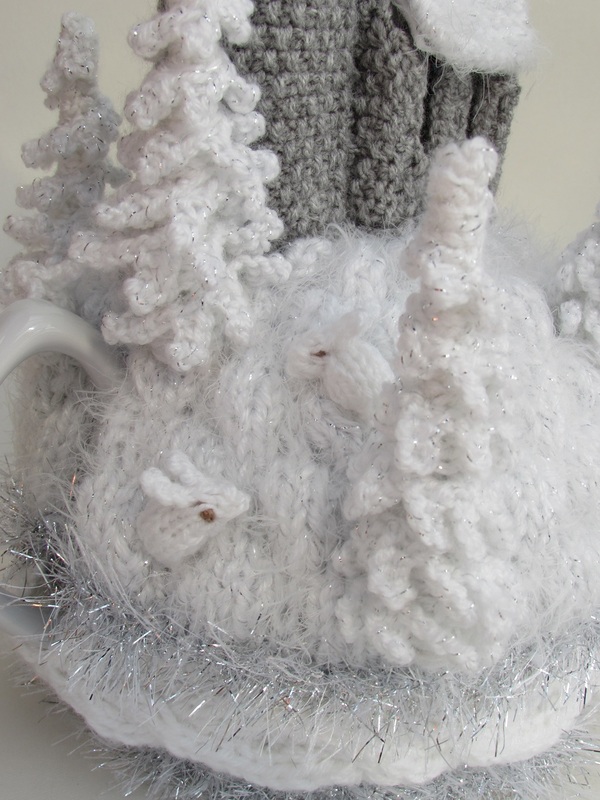 Amongst the trees are hares, a deer and a robin. 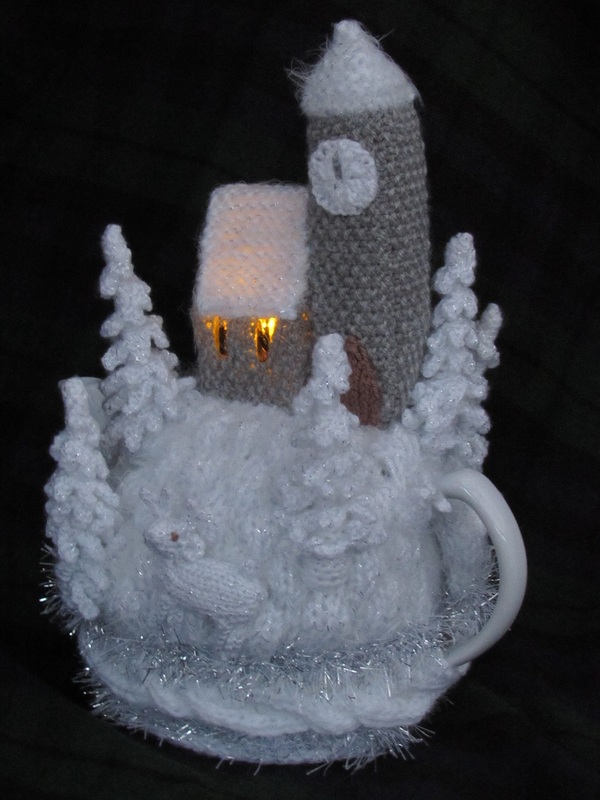 On the top of the cosy is a charming little church with a spire and a clock showing the time as 12 O'clock - time for midnight mass. 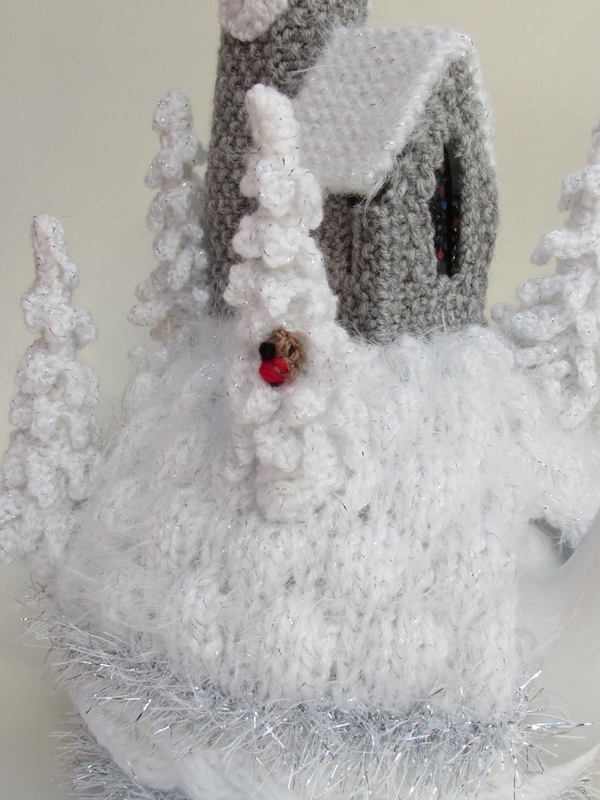 The church has stained glass windows. 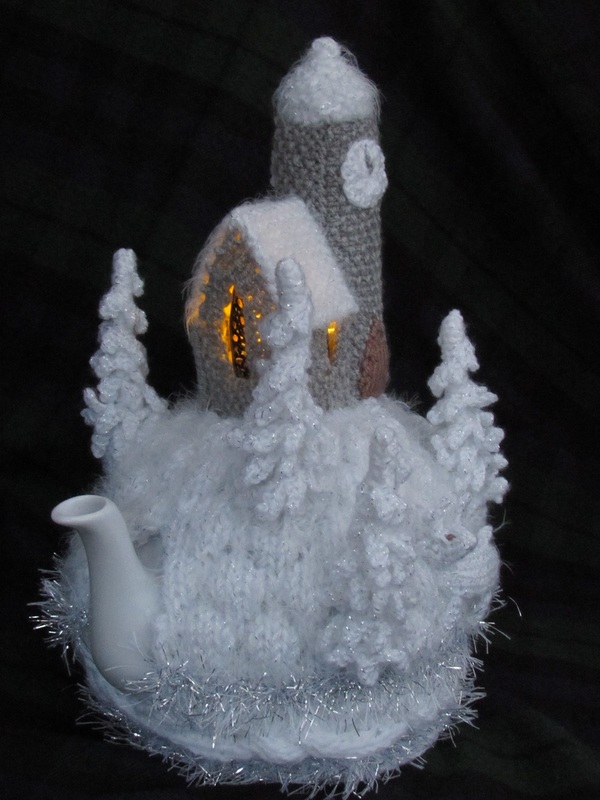 The church is hollow which means that a battery powered tea light candle can be inserted for set the windows off to full effect. 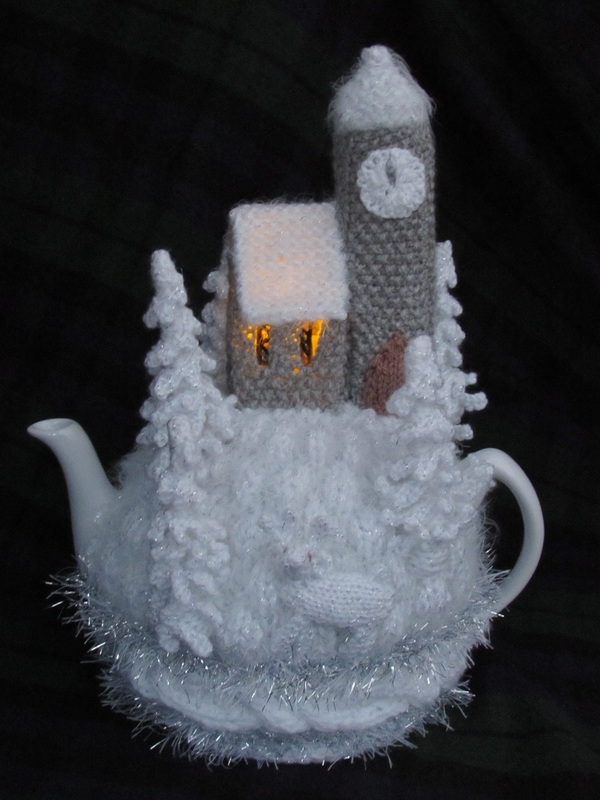 With so much detail, different yarns and techniques, this Christmas tea cosy is a real labour of love that will look amazing for Christmases to come. 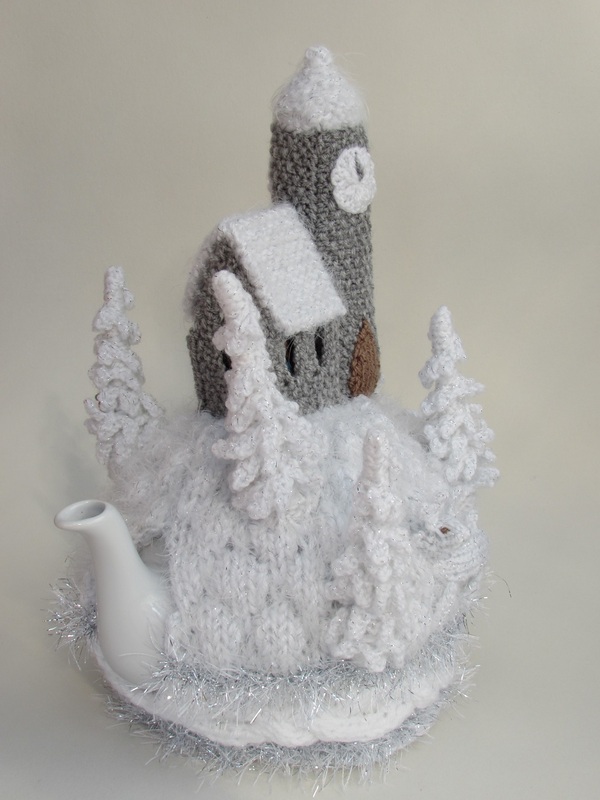 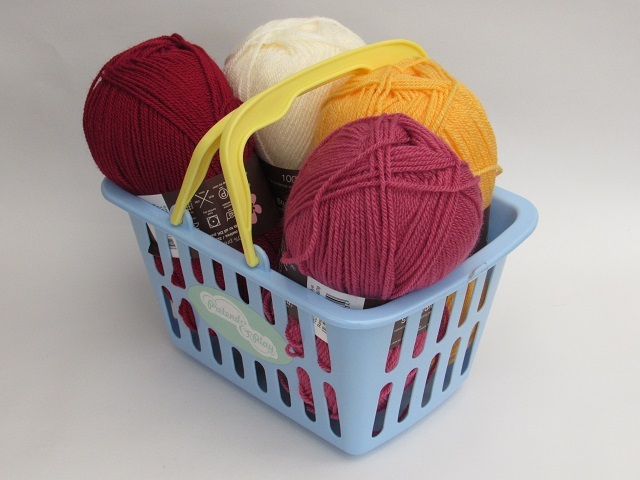 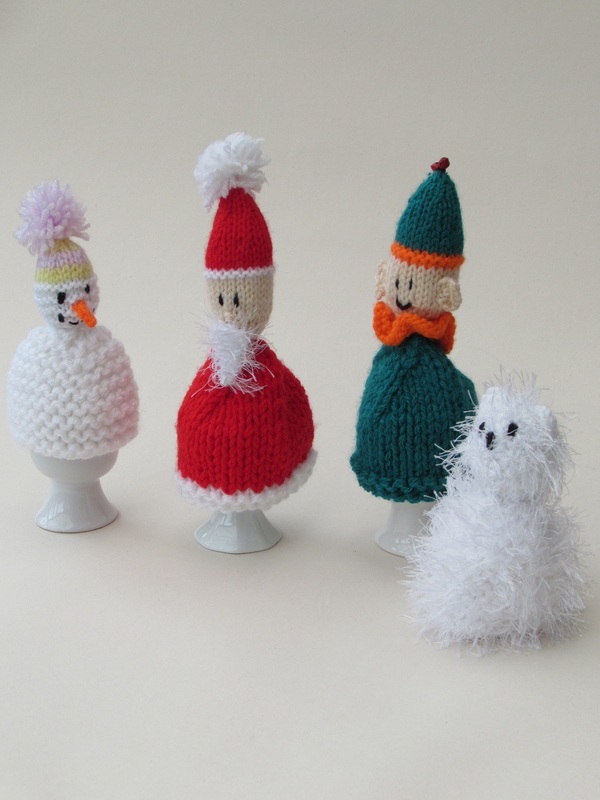 The knitting pattern has 8 pages and has photos for guidance. 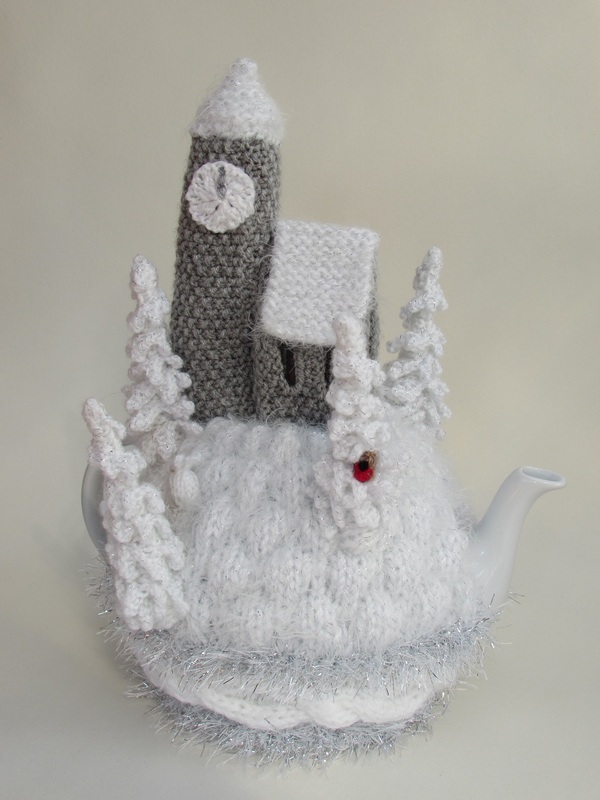 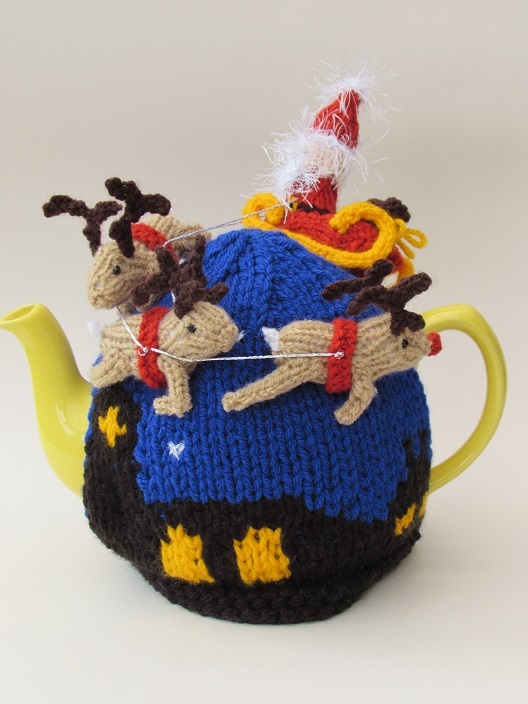 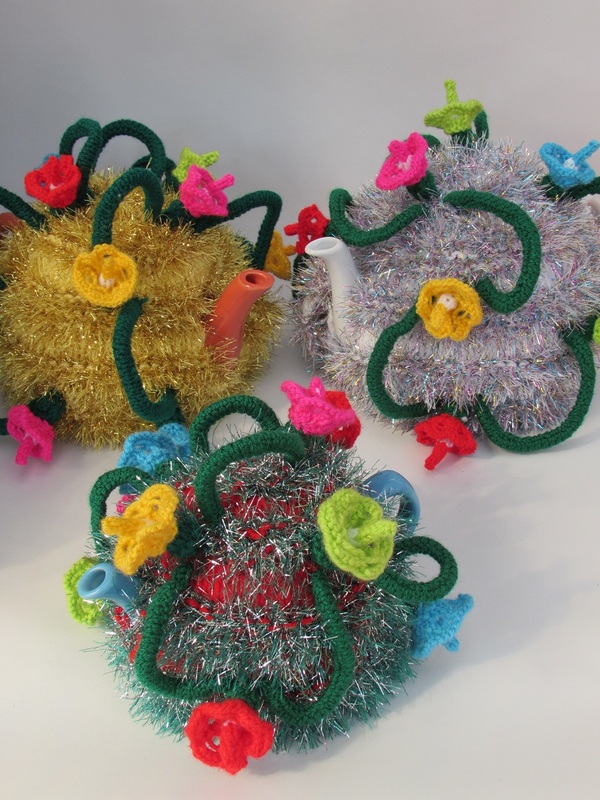 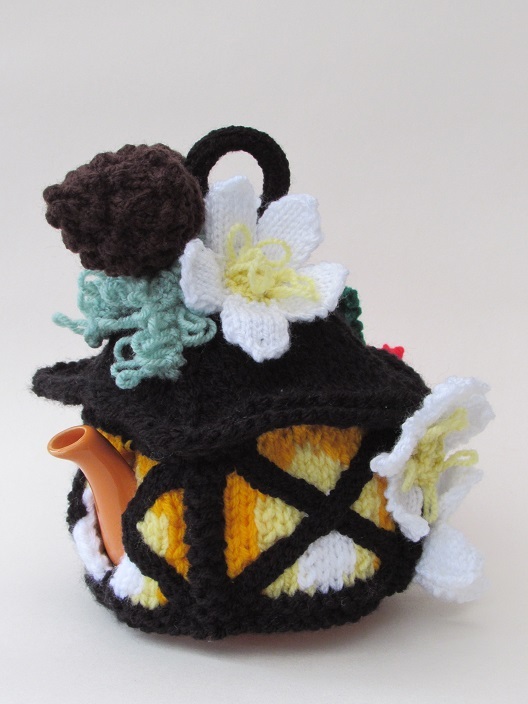 Because at Christmas time we get a few more visitors, this tea cosy has been designed to fit a bigger sides teapot that holds 10 cups of tea.